BUYING or SELLING is one of the biggest decisions that you’ll ever make. Your home buying experience is important to me. You are not just a number, but hopefully a lifetime friend and repeat client/customer. I’m here to help you sort out your needs, and to make it an enjoyable experience. Part of sorting out your needs is helping you decide if this is the right thing for you to do. Maybe now is the best time. Maybe now is not the time for you to buy or sell a property. “Helping You Make The Right Decisions” has been my motto for many years. As a Certified Residential Specialist, I know that buying and selling is a complicated decision, and it also should “Feel Right.” My job is to work with you through the process to first decide if a move is “Right” for you. Then when you decide it is, we work through the process together, to make it as smooth as possible. My business is built from repeat clients & customers, either selling and/or buying their home, or referring clients and customers to me. Whether you have sold and purchased many homes, or a new transferee to our area, or a first time buyer, I’m here for You. My primary market is Sheboygan County, along with southern Manitowoc County. My early childhood years were spent in Auburndale, Wisconsin. I grew up on a dairy farm milking cows before and after school, working in the garden and in the fields, raising rabbits, riding ponies and horses. I was on a gymnastics team, marching band, concert band. I’m the youngest of 8 living children. My parents are deceased. I have 35 nieces and nephews, about 40 greats and 20-some great greats. Met Jerry, my husband in Sheboygan. We’ve been married forever and have always lived in Sheboygan. We have adult children, Melissa, Jackson, Ryan and his wife, Rosie, our newest addition. Jerry, recently retired from Kohler Co., and is a musician with The Buffalo Joe Band, Spare Time, Pop Music, and plays reunion gigs with Alive ‘n Pickin’ Bluegrass Band. Worked my early adult life in restaurants. I may know you from, King’s Food Host, Geno’s, Nino’s, A&W, Rupp’s Lodge, and Rupp’s at Riverdale or The Green Room Pub, which was our “Family Owned Business” 2005-2011. Contact me, Cleo Messner, for all your Real Estate needs and concerns. I talk on the phone, email, and text. I mix fun in with my work. Put my 31 years of Real Estate Knowledge to Work for You.. Thank you! I appreciate your business!! 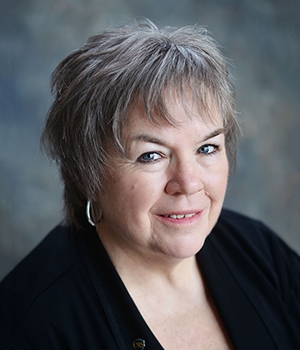 "I've worked on and off with Cleo over the last 15 years and she's guided me carefully in the purchase of rental properties and, now after my retirement, she's professionally helped me to sell the properties in a quick and efficient manner! Cleo is far and away the finest Real Estate Professional I've had the pleasure to work with. She has my top recommendation." "When we were selling, you knew it was difficult for me and you were a rock! A great help in so many ways. I appreciate all you did! Thank you again and I hope all is well for you in the new year." "Cleo is a hands on realtor. She not only told us straight out what we needed to do in order to sell our house, she also explained how to find our dream home and we found it! All with in about 2-3 weeks!" "Cleo was awesome! She was very understanding of my concerns. I felt she really cared about my feelings. My transaction went better than expected!" "Cleo helped us prioritize what we needed to do to get our house ready to sell. She is knowledgeable, direct, and easy to work with. Our house sold quickly and she helped us get through a pretty quirky closing process when events outside of our control delayed the closing date."